INTERNATIONAL PACKERS, MOVERS, SHIPPING SERVICE, HOME AND OFFICE SHIFTING, PACKING AND MOVING SERVICE, CUSTOM CLEARING AGENT, GOODS TRANSPORTATION, TRUCKING, LOGISTICS,COLD CHAIN AND REEFER CONTAINER SERVICES AND INTERNATIONAL FREIGHT FORWARDERS IN ISLAMABAD, LAHORE, KARACHI, PESHAWAR, MULTAN, PAKISTAN. 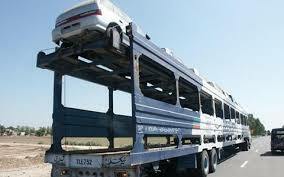 CAR CARRIER AND VEHICLE HANDLING TRANSPORTATION SERVICES IN MULTAN, LAHORE, KARACHI, ISLAMABAD,RAWALPINDI,PAKISTAN. Our website provides you with Free Instant Online Quotes, but we also have an experienced and friendly team of operators who are waiting to take your call, and guide you through the process of moving your vehicle. Call on 0343-6555559 to speak to a member of our team today. Car Transport Quote combines experience, technology and great customer service to put the right solution at your fingertips. When you use our service, you are putting your vehicle into safe hands.